The students will explore the emerging world of robotics. Please check out the attached flyer for more information. Bryan Chick, author of The Secret Zoo series, will be at Keller on March 6 for an assembly. He will share his unique experience on writing his books, revealing with students the writing process and encouraging them to use their imagination. Information on how our students can order personalized, autographed books will be sent home the day of the assembly. The Michigan Attorney General's office will be conducting presentations on student safety featuring the Michigan Cyber Safety Initiative (CSI) and the student safety hotline, OK2SAY. You are encouraged to preview the videos on the Attorney General's website. If you do NOT want your child to participate, return the form that came home from school to your student's teacher by THURSDAY, NOVEMBER 2nd. The Re/Max Hot Air Balloon will be coming to Keller on Wednesday Oct 31, 2018. STEAM museum hands on assembly is a fantastic, fun learning experience for our students and we cannot make it happen without your help! Sign up here . On February 28, Genot Picor, a storyteller, will be coming to Keller to help kick-off March is Reading Month! For our Kindergarten through 2nd grade students, Picor will perform Dig Into Reading with Miner Sam where he will portray a miner who lived and worked in a multi-ethnic mining community during the Great Depression. For our 3rd through 5th grade students, Picor will perform Stories, Songs and Dances of the Voyageur where he will tell the adventures of a French fur trader who makes it all the way to "Mitchigaamii" (Michigan!). Picor will weave interactive stories, songs and dancing into both of his performances. 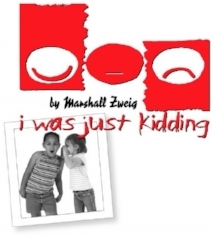 I Was Just Kidding is about an issue that children often understand better than adults: how much words can hurt. The three character story revolves around Debbie, an average fifth grader. She has two friends: Sheri, a girl who is lots of fun but inadvertently cruel; and Craig, a quiet boy whose imagination never stops. Debbie notices that Sheri hurls insults, but she doesn't think much of it. That is, until the three play together for the first time. Sheri assaults Craig with barbs and when he leaves, Sheri says that she was "just kidding." Matters escalate until Debbie has lost both friends. She wonders what she did wrong. As the play concludes, all the characters come out and state their position. In the discussion that follows with the actors, our students are asked to consider choices made by the characters and how different choices might have changed the outcome. Red Wings assembly on January 17, 2018. The assembly is interactive and designed to provide a positive message about the importance of education and a healthy lifestyle. They are asking to have all students and staff dress in Red Wings gear, if they have it. They are also offering a fundraising event (see flyer) if families buy tickets to the Duel in the D hockey event. On June 7th , our kids had a chance to see the 2017 children's production "Wiley and the Hairy Man" put on by the Oakland University Department of Music, Theater and Dance. Adapted from an American folktale, Wiley and the Hairy Man tells a story of bravery, family and magic. Wiley is scared of the hairy man he believes lives in the swamp close to his house, but with the help of his faithful dog, a little magic from his mother and his own wits, he learns to stand up for himself and face his greatest fear head on. On Thursday, May 25th, Keller’s 3rd and 4th grade students will participate in a Disability Awareness Workshop. This workshop is a hands-on, activity-based experience. The main objective of the workshop is to help children become more aware of the challenges that people with differences face every day. We run this program every other year so that all of our students will experience it when they are in 3rd or 4th grade. The program includes activities centered on understanding of physical, speech, hearing, vision and learning differences. We want the students to remember that people should be respected no matter how they may look, act, walk or talk. This science assembly program is based on Sir Isaac Newton and his laws of physics as well as the inventions of Robert Van de Graaff and Nikola Tesla and will open our student's eyes to the fascinating world of physics and how it governs the way everything around us moves! It will discuss sound; explore, in detail, the the inventions of Van de Graaff and Tesla; teach about gyros and gyroscopic stability and Newton's third law, the law of action and reaction. The presentations will include student and teacher participation, as well as multiple demonstrations of scientific principles, making physics fun. Nicole Kelly stepped into the roll of public figure after winning the 2013 title of Miss Iowa and going on to compete at the 2014 Miss America Pageant. She gained attention for being one of only a few competitors to have ever competed with a physical disability - she has a limb difference. After working for a year as Miss Iowa and traveling across the country to advocate for those living with a disability, she signed with a professional speaking agent and started her own business: Nicole G. Kelly, LLC. Nicole has proudly spoken at hundreds of K-12 schools schools, given educational lectures at universities across the country, and last year served as the emcee at the Kennedy Center's celebration for the 25th Anniversary of the Americans with Disabilities Act. The goals of her assemblies are creating a safe space for kids to ask questions about physical differences, providing kids with ways to address and ask questions when they meet someone with a physical difference and discussing alternative solutions to bullying kids with differences. Nicole is an ambassador to the great organization for limb difference awareness started by a Keller mom, The Lucky Fin Project. to find out more about her. The Michigan Attorney General's office will be conducting presentations on student safety featuring the Michigan Cyber Safety Initiative (CSI) and the student safety hotline, OK2SAY. You are encouraged to preview the videos on the Attorney General's website. If you do NOT want your child to participate, return the form that came home from school to your student's teacher by THURSDAY, NOVEMBER 3rd. Students will enter a portable, inflatable planetarium and be taken on a tour of the solar system. The navigator will guide students through the starts of the Northern Hemisphere exactly as they appear that day. They will learn how to identify every planet in our solar system in dramatic "flights" towards each world. They will be introduced to Greek mythological characters and see how these heroes of the past can be found in the stars. We can't wait to have the SkyDome Planetarium visit our school! The NED Show is an innovative character education assembly. Using humor, storytelling, audience participation and amazing object lessons including yo-yo and magic tricks students learn through the adventures of NED, a character kids (and adults) can relate to. His name is an acronym for: Never Give Up, Encourage Others, and Do Your Best. The NED Program uses a mult-sensory learning model to motivate, encourage, and inspire students to become Champions at school and in life. This show inspires the imagination of young readers by using music as a bridge to encourage the growth of reading skills in students at each grade level. Popular student reading books such as "Pete the Cat" and "Abiyoyo" will be used. Celebrating Reading, Imagination and Music! Your library receives books and recordings used in show! Tune in to Reading assembly are funded by the Keller PTA, the Michigan Humanities Council and the Michigan Council for Arts & Cultural Affairs. The Department of Attorney General is proud to feature a customized program to protect children. The program features content tailored specfically for each grade level. More information about this program will be coming home to parents in December or early January. To read more about the program, please visit the website below. This program is an interactive author/writing/reading presentation focused on specific examples of where ideas can come from (real life experiences, memories, feelings, friends, reading, etc.). Kevin will share insights on writing and revision while showing rough drafts and journals from when he wrote The Tomato Collection. This presentation is well paced, interactive, and filled with the right amount of puppetry, music, poetry, and humor. This is Kevin’s “author visit” program and it motivates students to write and create! Kevin has been doing this presentation since 1998 and over the years he has continued to "fine tune" it. The Ideas are Everywhere assemblies are funded by the Keller PTA, the Michigan Humanities Council and the Michigan Council for Arts & Cultural Affairs.